Cher Lyn is a mystic and shamanic artist. This documentary highlights her process, paintings, and healing. As a child, Cher Lyn experienced serious abuse from her father, uncle, and grandfather. This project is in collaboration with Kurt Lancaster and focuses on Cher Lyn's ambition to manifest deep healing and sustain great love, for herself and for all of humanity. Cher Lyn's art "reflects a deep connection to the Sacred Feminine and reverence for our universal interconnectedness." This documentary offers creative and spiritual insight for transcending trauma. Cher Lyn participated as a Live Painter at the 2017 One Love Festival. One Love Festival is a three day camping festival like no other with some of the most amazing live and electronic musicians from around the world, where you can dance on the beach overlooking an amazing lake and jump in for a swim, explore various water sports, art cars, art boats, art installations, yoga, workshops and speakers that will inspire and empower you to co-creating a planet of paradise together! Randi Maggid, who has found relief through non-traditional medical alternatives, bravely shares her story in her emotional and insightful new memoir, Beverly Hills Concentration Camp. With names changed to protect the privacy of the book’s characters, Beverly Hills Concentration Camp opens on the present life of Alix, a seemingly-ordinary mom who, through a series of flashbacks, takes the reader along on her healing journey -- from the depths of severe physical pain and anguish to the heights of awakened spirituality and health. 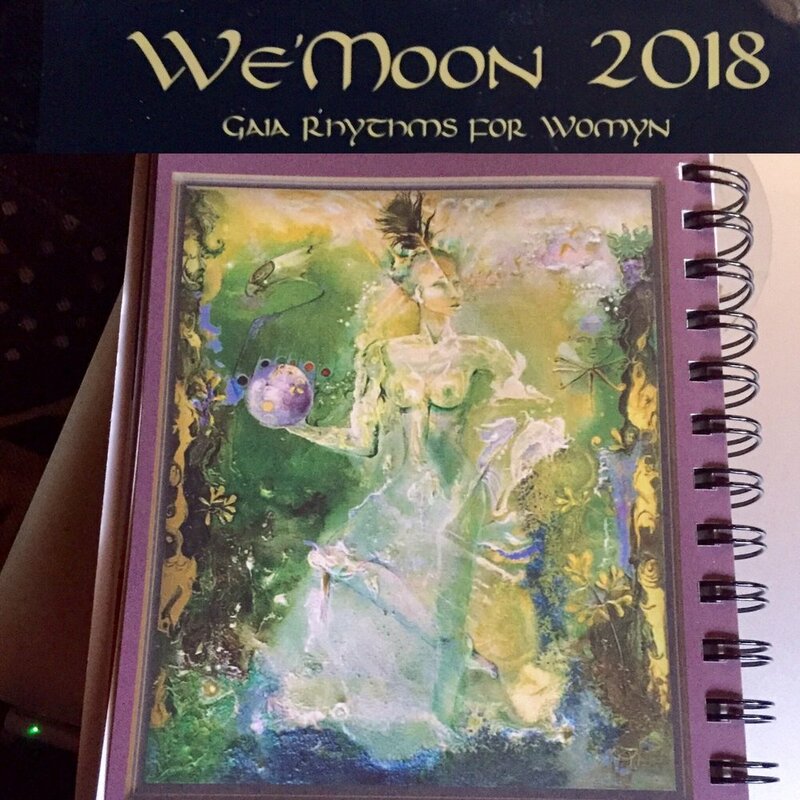 An empowering datebook and multicultural earth spirited calendar, We'Moon features art and writing by and about women: an exploration of women's experience and perspectives, a goddess-inspired creation from the growing edge of global women's culture. We'Moon datebooks include full daily lunar and astrological information in a week-at-a-glance format, a lunar month-at-a-glance section, and a comprehensive introduction to astrology, Sun / Moon / Earth cycles, and seasonal Holy Days. Art, prose and poetry by hundreds of gifted contributors from around the world are organized into 13 themed moon-chapters, variously exploring the current years' theme. "Cher enlightens us with wisdom of surrender, forgiveness, acknowledging our shadow sides, and the missing piece of honoring that comes with ceremony for this initiation into the crown stage of life. Some people call it menopause, and I feel that is a limiting label, just like the onset menarche would be limiting as a true description of all the changes / maturation that take place in a young girl’s life."